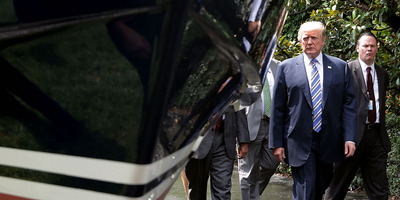 Chip Somodevilla/Getty ImagesPresident Donald Trump walking past a boat while touring a ‘Made in America’ product showcase at the White House. President Donald Trump’s tariffs have put US businesses in the crosshairs of a trade war. Bill Yeargin, CEO of the US boat manufacturer Correct Craft, warned about the consequences of Trump’s trade fights in an op-ed article on Monday. “We have found ourselves in the crosshairs of a trade war, one that will drown out the effects of tax reform and risk our industry’s promising future, taking American workers and consumers down with it,” Yeargin wrote. The CEO also laid out three big reasons Trump’s tariffs hurt US businesses. President Donald Trump’s tariffs are hitting US businesses with a triple whammy, according to one manufacturing CEO. 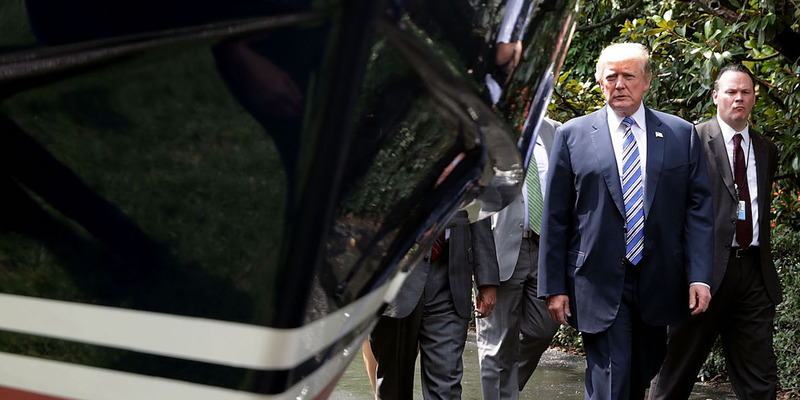 Bill Yeargin, CEO of the US boat manufacturer Correct Craft, laid out in an op-ed article for the Washington Examiner on Monday how harmful Trump’s recent tariffs are for both his company and the US economy as a whole. Yeargin’s firm builds a slew of popular boat brands such as Nautique, employs more than 1,300 workers, and has six manufacturing plants in the US. But despite the homegrown nature of the business, Trump’s tariffs are taking a toll, Yeargin said. The Correct Craft CEO said Trump’s trade fights were leading to higher costs and threatening boat sales. In fact, Yeargin said, the tariffs pose an existential threat to the US boat manufacturing industry. “We have found ourselves in the crosshairs of a trade war, one that will drown out the effects of tax reform and risk our industry’s promising future, taking American workers and consumers down with it,” he wrote. Tariffs caused the price of imported parts to increase. Tariffs act as taxes on imports, so they cause the prices of the goods hit with those taxes to increase. Trump has imposed substantial tariffs on Chinese aluminium sheet, an important element for boat manufacturing. Additionally, Trump’s tariffs on Chinese goods added an extra duty to pieces of boat engines, and the next wave of tariffs could hit “300 different component parts used by the marine industry,” Yeargin said. So Correct Craft’s costs are increasing, cutting into profits. The prices of US goods are also increasing because of market distortions. Correct Craft sources nearly all the aluminium used in its boats from the US, Yeargin said, but this has not protected the company from price increases. As domestic producers have seen foreign prices rise, so too have they used this new pricing power. According to Yeargin, the price of domestic aluminium has risen by 20-30% because of market distortions created by the tariffs. Correct Craft can respond to the combination of these three factors in a few ways. The company can lay off workers to bring down labour costs, increase prices for consumers, or move manufacturing outside the US to a country not facing tariffs (similar to Harley-Davidson’s decision). Given these worrying options Correct Craft faces, Yeargin concluded that Trump’s trade policies would ultimately come back to bite the US. The problems aren’t limited to boat manufacturers. American firms that produce everything from TVs to nails to lobster traps are dealing with similar cost pressures. The cost increases are already forcing these firms to make tough choices. Some US businesses have had to lay off workers, while others are raising prices on consumers to handle the hit. Regardless of how these companies are managing, it’s clear that Trump’s trade fights are taking a toll on American businesses.